NASHVILLE, Tenn. (August 15, 2016) – Country music fans rejoice!Spotify is unveiling its newest playlist, New Traditions/Country Heroes, dedicated to spotlighting the latest music from some of country’s most iconic artists including Dolly Parton, Vince Gill, Reba McEntire, George Strait and more. 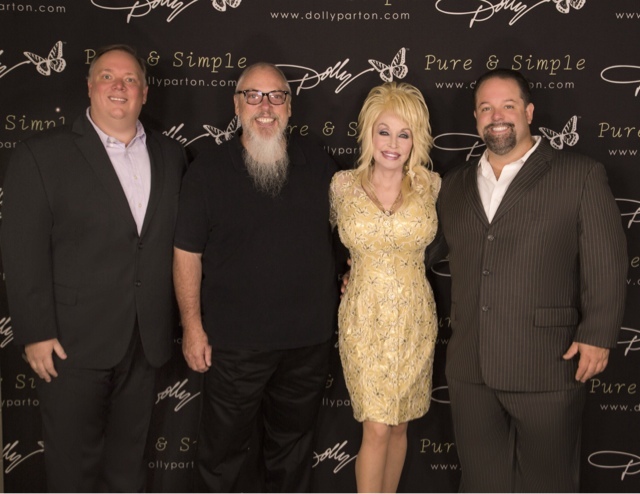 Dolly’s longtime publicist, Kirt Webster, whose powerhouse Nashville-based firm represents more than 50 legendary artists, collaborated for the creation of New Traditions/Country Heroes with Spotify’s resident country music expert, John Marks, in an effort to create a home for legacy country music acts on Spotify. “The New Traditions/Country Heroes is a playlist where legacy artists making current music can be heard anytime on demand,” said John Marks, Global Head of Country Music. “I have nothing but admiration and respect for all of the artists represented in this list and Spotify is proud to provide this platform to those who are still out there on the road and making great music." New Traditions/Country Heroes playlist will feature five tracks from Dolly Parton’s new album Pure & Simple, which will be released August 19. "I'm so excited to be a part of the launch of the New Traditions/Country Heroes playlist on Spotify. It’s really important to keep up with the times and I’m thrilled to bring the fans these Pure & Simple songs. They come from the heart and I sure hope everyone enjoys them," said Dolly Parton. Additionally, the playlist will feature liners from the iconic country music star saluting the premiere of the playlist and release of her album. With over 4 hours of hand-picked tracks, New Traditions/Country Heroes is a nod to all of the iconic country music artists who are still making music that the fans want to hear. The launch of this playlist will include the likes of T.G. Sheppard, John Conlee, Lorrie Morgan, T. Graham Brown, Johnny Lee, Kenny Rogers, The Oak Ridge Boys, Charlie Daniels, Hank Williams Jr., Gene Watson, The Bellamy Brothers among so many others.